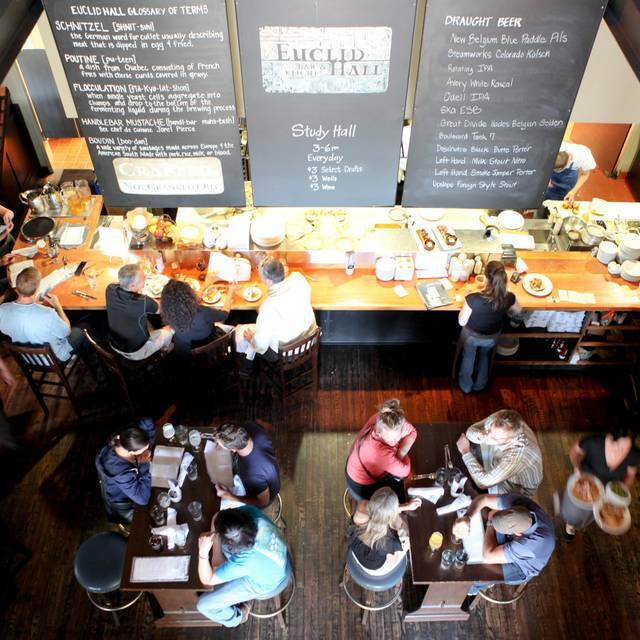 You must make reservations at least 5 minutes in advance of the time at Euclid Hall. Street parking available. Private lots nearby. Valet parking is available in front of Euclid Hall or in front of Rioja on Larimer Square. 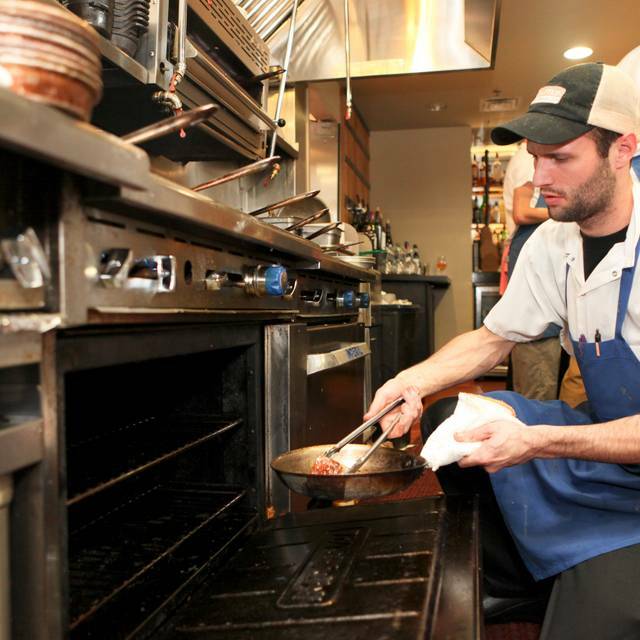 Our open kitchen allows our kitchen staff to provide constant entertainment. 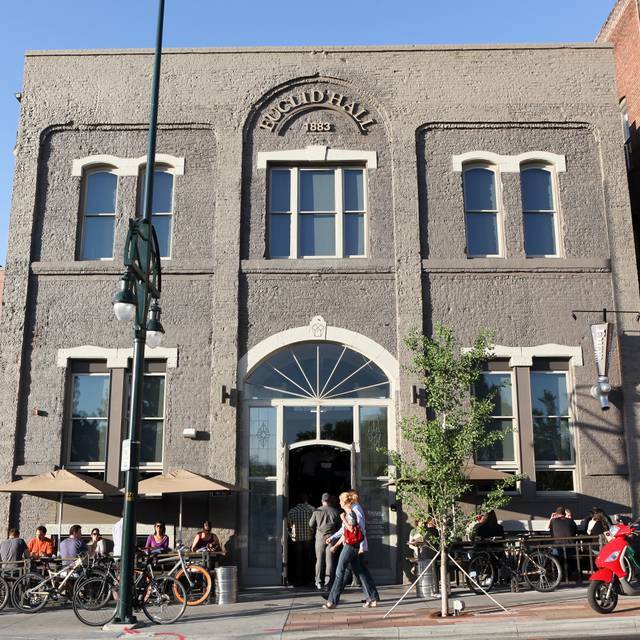 Euclid Hall is the third restaurant from the team of Jennifer Jasinski and Beth Gruitch, owners of the award winning Rioja and Bistro Vendôme on Denver’s historic Larimer Square. Located in Euclid Hall, an 1883 building that once housed the venerable Soapy Smith's bar, this American tavern features high quality and innovative pub food from around the world including housemade sausages, poutines and schnitzels. An award-winning beer selection, wine on tap and creative cocktails drives the beverage program. Happy Hours at The Hall every day from 3-5 p.m.
An hour passed with no food. They blamed it on the playoff game despite arriving an hour and a half before the game. We explained that several tables who arrived after us had received their food. We left hungry, no dinner and a couple drinks (only one comped). Will not return. Hip vibe (if you are into that) with good service. Unfortunately, the menu - while interesting- is not conducive to dietary restrictions. Almost everything is pork, or comes with a pork laden sauce or side. And the wait staff was not helpful about substitutions or suggestions. We wound up leaving without eating. Really a shame. Amazing food. Even better service!! We’ll definitely be back! We tried the sausage sampler and the pickle sampler - both were amazing! With their extensive beer choices and creative drinks, we'll absolutely be back the next time we're in town for a show! The food was fantastic and everything was portioned amazingly. Next time I am in Denver I will be returning and ordering the poutine again. I will be craving it for awhile. Love Euclid Hall! We come here for many special occasions and sometimes just because we wanna. Great service, great food, great drink menu with unusual beers and fun beer-based cocktails. And great food. Oh, did I mention the food? This time we LOVED the soundtrack, which was a heavily female-oriented indie rock playlist. Euclid always hits the spot. Love coming down from the mountains to enjoy their offerings. The Krakkenpopper app and Lamb entrees are a must. Treat yourself to the bone marrow and definitely order the follow up shot! Very good!! Loved the atmosphere and the food. The cheese curds were by far our favorite!! As always, everything was fantastic. We had friends visit from out of town and you all didn't disappoint. They were so excited and loved every second of it. Thank you! We are so glad you enjoyed your meal. Euclid Hall has an eclectic menu -- clear German influence (sausages, kraut, slaw, and a nice selection of beers) with other unique recipes thrown in. Fun, not expensive. Thanks, Scott. We appreciate you writing to us! First time for someone who has been looking forward to dining here for a very long time. Was not disappointed! This was very disappointing. The food was basically "study food" you would get at the cafeteria on campus. It was loud - which could be fun but too loud to have a conversation. The service was mediocre - We had tickets to a show and showed up to the restaurant with plenty of time, but barely made it to our show on time. Delicious and creative menu! All the food we tried was delicious, will be returning! Thanks, Ana! We are so glad you enjoyed your meal. This was one of the worst dinners we have had in years. We would have complained about the food.. a super dry stale chicken sandwich and an extremely over cooked burger but our waiter was no where to be found and seemed have to forgot about us. 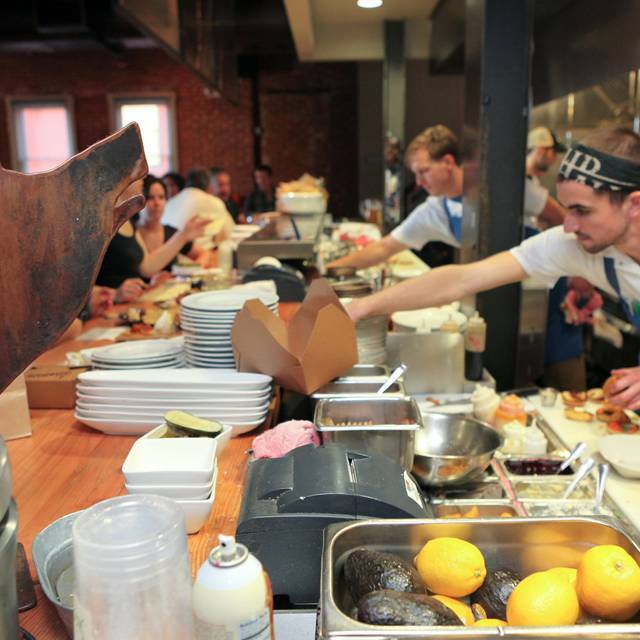 We go out a lot and Denver service and food scene is too amazing to get this type of execution for overpriced food. We paid and left and won’t be back. The lamb was amazing. The poutine was pretty good too. 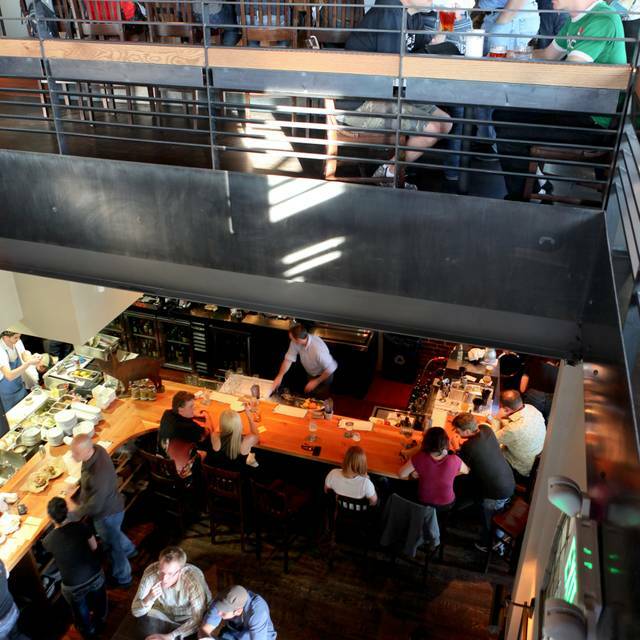 Upstairs has an energetic bar and seating area. Love this place. I eat here every time I am in Denver. Great food. Great service. Great food got to try some new things because of Denver restaurant week. The beer selection was amazing. Went here before a nuggets game super close walk to the Pepsi center. Thanks Spenser! We are so glad you enjoyed your meal! Food was great!! Very interesting and eclectic— tried food I’ve never had before! Thanks, Allison! 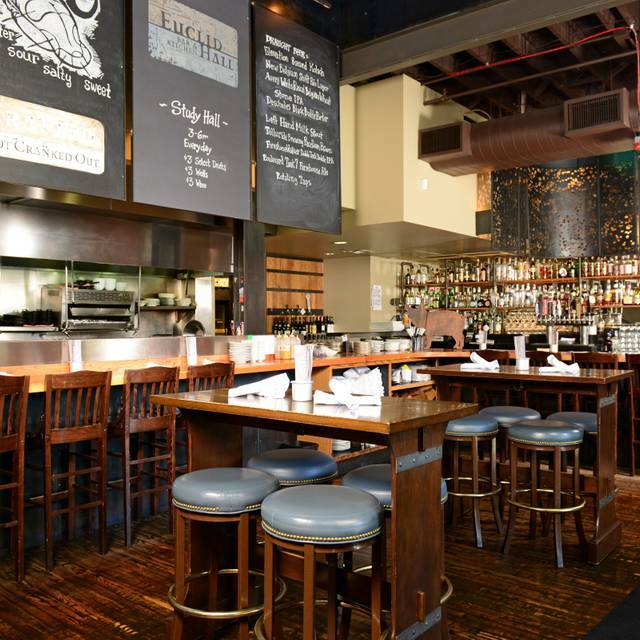 We are so glad you enjoyed the options at Euclid Hall. Please come back to visit us again soon! Service was outstanding! Food was great too but the people there were very friendly. Will visit again soon. We enjoyed our meal here. The highlight was the amazing pickle platter. Yum! The sausage was excellent as well. We liked the Duck Poutine, but wow, was it heavy. Our waiter was a little bit of a dud, and the bar scene made this a pretty noisy place to dine. We would definitely go again, but might ask to sit upstairs where it seemed a little more quiet. Hello, Thanks so much for your feedback. We are so glad you enjoyed your meal! Very eclectic menu. Loved the cheese curds with the buffalo ranch. Also enjoyed the house made sausages. The venue itself is really cool. Glad we tried it. Thanks so much! We are so glad you enjoyed your meal. Very enjoyable. Great food, good choices, good service. 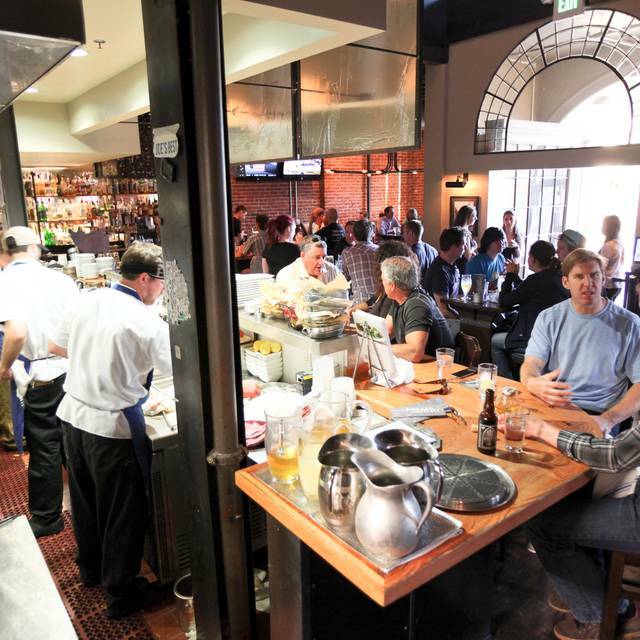 Ambiance is that of a bar with very good, innovative food. Very noisy. 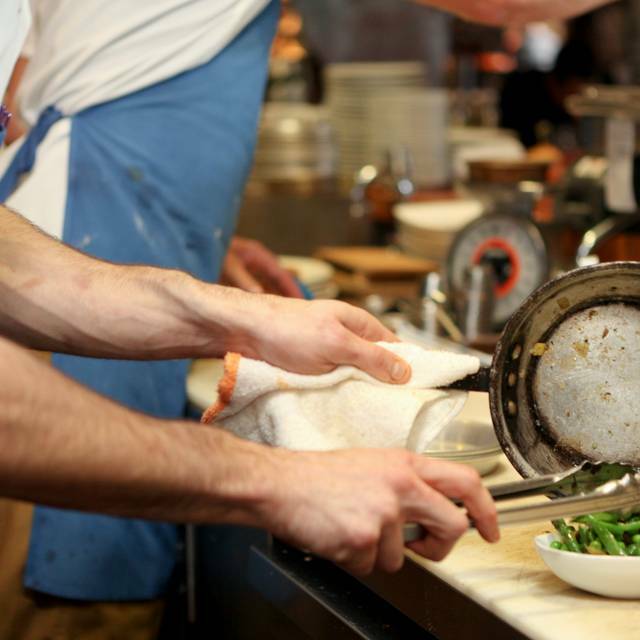 Dishes are ordered a la carte, so the prices add up quickly. Hi, Thanks for your comments. We are so glad you enjoyed the creative food. Yes, it can be a bit noisy, but sometimes that's the fun of it! Please come back to see us again soon. It was a cool place. The beer sections were ok. Pretty much in Colorado if you don’t like IPA’s you’re hosed. But the food was great. I really wanted the pork rinds (don’t judge me) and they didn’t have them on the menu anymore, but my waiter seeing my tears got me some! Yummm the mussels were good too. Duck fries we’re yummy too. We’ll be back. Hi Jackie, Thanks so much for writing to us! We are glad we were able to feed your pork rind craving. What types of beer would you like to see on the menu? We are very open to suggestion, so please feel free to chime in. We hope to see you again soon! Fun restaurant. Great energy level. The food is good and our waiter was wonderful. Will definitely go back again. Thanks for writing to us! We are so glad you enjoyed your food and service. Love this place. Always a winner, especially before events at the Pepsi Center or Performing Arts Center. Thanks so much, Scott. Come back and see us again soon! We had a blast! Started at the bar while we waited for our table. The bartender was friendly, fun, and attentive. Once we got to our table, Mary, our server was great! She answered all of our questions and gave honest recommendations. The atmosphere is comfortable and friendly and the food was delicious! Thanks so much! 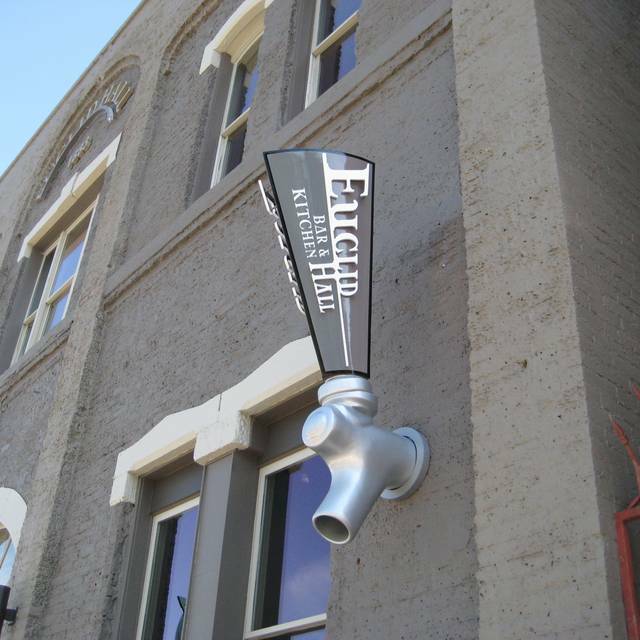 We are so glad you enjoyed your time at Euclid Hall. Excellent food and lively atmosphere. Went here before hitting an Avalanche game and had great craft beer and unique food. Portions were a little small but quality was excellent. Thanks so much! Glad you enjoyed your meal. Brilliant as always. Prefer the old cook style on the marrow, but still delicious nonetheless! Keep up the great work! Thanks, Garrod. We appreciate your comments. This place was delish! It’s a very different menu (nothing ordinary) which we loved. We had the duck and a chicken sandwich and loved both dishes! We will absolutely go back. Thanks for writing to us! We are so glad you enjoyed our eclectic menu. So sorry that the restaurant was noisy when you were in. Thanks for your feedback. Excellent, creative food and a wide range of beers and interesting cocktails. This is one of our favorite places in Denver. The food is always awesome and the environment is great. Thanks so much for writing! We are so glad you enjoy Euclid Hall! Amazing food! Creative and interesting options! Outstanding service. Thank you! Please come again soon! Very impressed all around with the overall experience! The food was amaaaaaazing! Definitely my new favorite place in Denver! Thanks so much! We are so glad you enjoyed your meal!